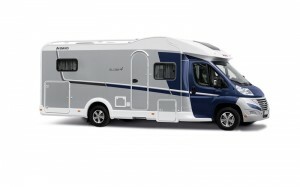 Buy Campervan New Zealand for a great experience - Zion Motorhomes Ltd - Authorized Distributors for Luxury Motorhomes, NZ. Located in the southern hemisphere, New Zealand is one of the most favorite travel destinations on earth. There are many stunning campsites, picturesque landscapes, popular attractions and excellent surfing spots in different parts of New Zealand. In order to explore the natural beauty of these regions, go across New Zealand and enjoy the adventure, purchasing a campervan seems like the best option for the travelers. Owning a campervan is often a dream of many New Zealanders. The open road, the freedom to go and stay wherever you want, the convenience of having your home just behind the driver's seat - these are the things that inspire the traveler in all of us. Why is a campervan the best option for New Zealand tour? A campervan means complete freedom on the road. It gives you the flexibility to create the holiday you want. You are not tied to anything but your own impulses. It gives you back choice, when to go, where to go, where and when to park, how long to stay. Also, it frees you from all kinds of usual and unnecessary hassles of a travel like purchasing tickets, booking a hotel, renting a car for local sight-seeing and so on. Hence it just not only lessens the burden but also helps in saving a lot of money on the travel. Campervans are perfect for a couple who want to do more at a weekend than just go to the shops or watch movies in the theatre; ideal for a dad to take the kids off for an adventure; fantastic fun for a group of friends to get together and have some fun. Dethleffs caravans of Germany are a classic range of campervans in New Zealand. No matter where you buy your camper van from, you need to inspect and check certain things before making a purchase. Not doing so, and later finding problems can lead to expensive repair bills. Some of the things that you need to check are the engines, oil leaks, wiring, vehicle license, body work, transmission and so on. Also, before purchasing a campervan, set your budget and always select a campervan that best suits your requirements (needs), taste, style and budget. Some people even prefer purchasing a second hand campervan since it is more economical and value for money. If you have made up your mind to go on a New Zealand tour, regardless of what you think you know, what you have seen or done so far, nothing can be compared to, or will come close to what you are about to experience in a fabulous road trip adventure in your privately owned campervan with your friends and family. Just eat, sleep, and chill. Pop up the table for easy meals and cozy van talk. Store your stuff away in large cupboards under the seats or above. Park your van at any point which has a great view and click some great pictures with your near and dear ones. Enjoy the nature to the fullest.